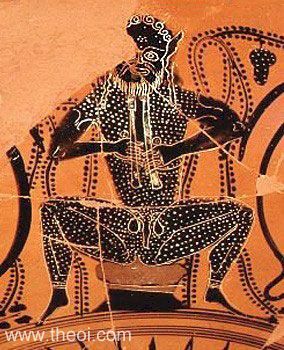 Side: A seated Satyr plays a double-flute. He is covered in tufts of white hair and has a bristly beard, animal ears and prominent genitalia. A fruiting grape-vine sprouts behind him. Tondo: Gorgoneion (see other image).